President, Seahawks And First & Goal Inc.
Named president of the Seattle Seahawks and First & Goal Inc. on September 24, 2018, Chuck Arnold is responsible for all financial and business operations, sales and marketing, and administration for the Seahawks. As president of First & Goal Inc., Arnold directs the management of CenturyLink Field, CenturyLink Field Event Center, First & Goal Hospitality, and WaMu Theater. Arnold is in his 25th season with the organization and throughout his time with the Seahawks, the team has set franchise records for new season tickets sold, overall season ticket base, average attendance and group sales. The Seahawks have averaged more than 98 percent in season ticket renewals over the last five seasons, including 99 percent four of the last five years. Entering the 2018 season, the team has sold out 130 consecutive games, has 12,000 members on the team’s Blue Pride season ticket wait list and more than 69,000 on the Blue Pride notification list. During his time as COO, the Seahawks corporate partnership posted a 41% increase in revenue from 2013-17. The club has sold out suites since 2013 in addition to seeing a 72% increase in revenue. CenturyLink Field continues to be one of the toughest places for opposing teams to play and has one of the best in-stadium fan experiences in the NFL because of the crowd energy level and overall gameday fan experience. The team has ranked No. 4 or higher in the NFL Voice of the Fan study four of the last five seasons, including a No. 1 overall ranking in 2013 and 2016. Beyond Seahawks game days, CenturyLink Field remains among the top three busiest stadiums in the NFL with more 175 events with more than 2.5 million annual visitors. In March of 2017, Arnold was part of the leadership team that created First & Goal Hospitality (FGH), a new food and beverage company that will manage and operate all general concessions and premium dining at Seahawks games, Sounders FC matches, stadium concerts, as well as provide catering services for corporate events. With the introduction of FGH, the Seahawks become just the fourth NFL franchise to self-operate food and beverage services, and are better positioned to continue to improve this key component of the gameday fan experience. The Seahawks brand continues to be one of the strongest in professional sports, both locally and nationally, holding a Top 5 NFL ranking in broadcast ratings, web visitors and social engagement. Arnold has played a crucial role in retail achievements, leading the team of Seattle officials that collaborated with Nike in the successful redesign of the team’s new uniform, which debuted in 2012. The club opened its fourth permanent Pro Shop location in 2015. The Seahawks have ranked in the top five among all NFL teams in merchandise sales each of the past five seasons, including being ranked No. 1 in 2013 and 2014. Arnold also played a key role in the launch of the Sounders FC Major League Soccer franchise, leading the sales efforts that lead to 22,000 season tickets being sold in the club’s inaugural season of 2009, and setting MLS and Open Cup sales and attendance records during the 2009 through 2013 seasons, before the Sounders began managing the club’s business operations independently in April of 2014. Arnold began his professional career as an intern in the Seahawks public relations department before joining the team’s ticket sales department as an account executive from 1994-96.  He was promoted to director of ticket operations from 1997-2000, before adding the title of director of ticket sales and service from 2001-09 and becoming vice president of sales & marketing from 2010-13. Arnold was also instrumental in the efforts to build grassroots support for the construction of CenturyLink Field. He was then responsible for coordinating the relocation efforts from the Kingdome to Husky Stadium to CenturyLink Field. He was among the Puget Sound Business Journal’s 40 Under 40 recipients in 2010 and was named Ticket Executive of the Year by Major League Soccer in 2009 and 2010. Arnold earned a degree in Sports Management from Washington State University. He resides in Newcastle, Wash., with his wife, Jana, and two children, Charlie and Jordan.